As a stopover to either Australia or New Zealand or as a destination in their own right, the Islands of the South Pacific are some of the most beautiful on earth. Soft breezes, turquoise waters, warm beaches and friendly happy people. 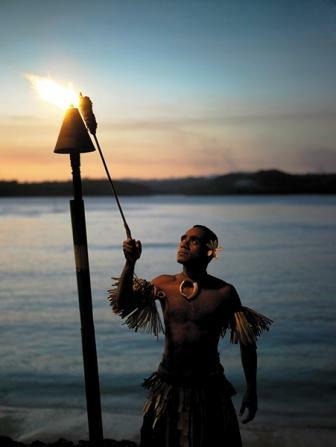 You can do as much as you want or just laze the day away……….the islands of the South Pacific are enchanting. A diver’s paradise Fiji is known as the Soft Coral Capital of the World and offers the largest variety of fish and coral in the world. Mamanuca Islands-accessible by boat ,helicopter or seaplane. Stay at the popular Castaway Island Resort on 174 acres of lush tropical rainforest with sixty six spacious and secluded bures. (Thatched huts) Fabulous Likuliku Lagoon Resort is Fiji’s most unique luxury escape for couples and the first and only with overwater bures. Boutique Tokoriki Island Resort is only 22 miles from Nadi and is ideal for couples seeking an affordable indulgence in paradise. Northern Island Resort Accommodations Qamea Resort and Spa has the most spectacular beach in the northern islands group and a 5 star Padi accredited dive shop. Jean-Michel Cousteau Fiji Islands Resort. This is an award winning eco-sensitive resort overlooks Savusavu Bay and caters to travelers of all ages. Divers of all skill levels will delight in the facilities here. Paradise Taveuni is an oceanfront resort with a lush rainforest mountain backdrop. Besides snorkeling and diving, enjoy kayaking, hiking and horseback riding. 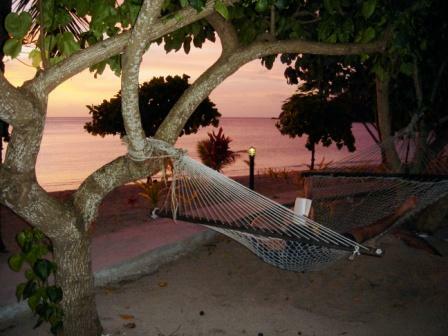 Outer Island Resorts Yasawa Island Resort and Spa offers remote island serenity and absolute luxury. Royal Davui Beqa lagoon is a lush eight acre island paradise surrounded by a barrier reef which has been declared a marine sanctuary. Vatulele Island Resort is an iconic award winning resort situated on a magnificent lagoon and stunning white sand beach. It only accommodates 19 couples and is the perfect romantic getaway. Sailing and Small Ship Cruising Tui Tai Fiji Adventure Cruise. This magnificent 140ft sailing schooner offers an all-inclusive adventure cruise. The expedition balances tropical adventure with modern luxury so guests may immerse themselves in the culture and landscape of Fiji. During your adventure, you can kayak, mountain bike, hike through rainforests and waterfalls, snorkel pristine vibrant reefs, scuba dive in a number of world class dive sites and visit local villages. 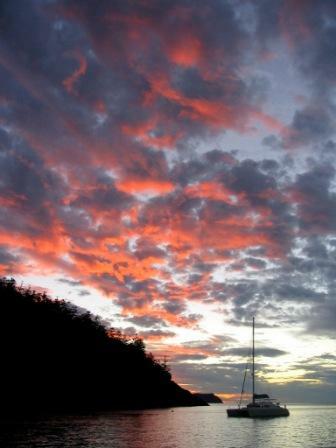 Blue Lagoon Small Ship cruises have either 3, 4 or 7 day cruises around the Yasawa Island and are also family friendly. Captain Cook Cruises has a 3 day sailing safari aboard a 108ft topsail schooner returning each night to base camp,the Barefoot Lodge on beautiful Drawaqua Island. Day sail on the classic schooner Seaspray or take a dinner cruise. “The Islands of Love”. A perfect honeymoon, destination wedding or just a romantic getaway spot, it’s easy to see why Tahiti has earned this name. is a 30 minute ferry or a short flight from Papeete and is a lush garden isle that offers a crystal clear lagoon and beautiful white sand beaches. 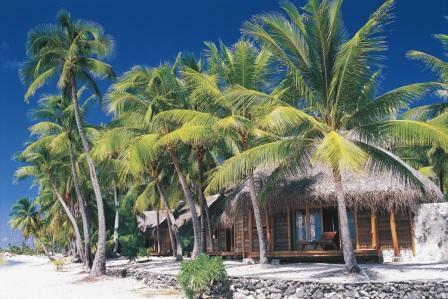 Sofitel Moorea la Ora Beach resort was recently featured as one of Conde Nast Traveler’s Top 20 resorts in the Pacific. Inspired by Polynesian cultures, it is the most luxurious resort in Moorea and of course has the fabulous overwater bungalows. You can enjoy numerous aquatic activities organized by the hotel. Moorea Pearl Resort and Spa offers garden bungalows with private plunge pools. The overwater bungalows are located over coral gardens so are ideal for snorkeling. 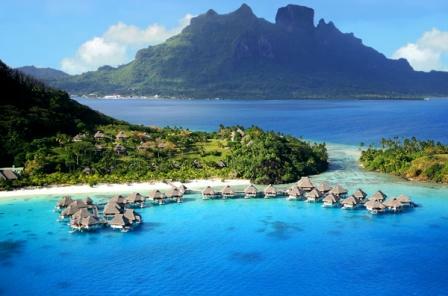 Four Seasons Bora Bora is situated around Bora Bora Lagoon with compelling views of spectacular Mount Otemanu. Inspired by local architecture overwater bungalows are perched on stilts and shorefront villas along a private beach offer a restful airy ambience. 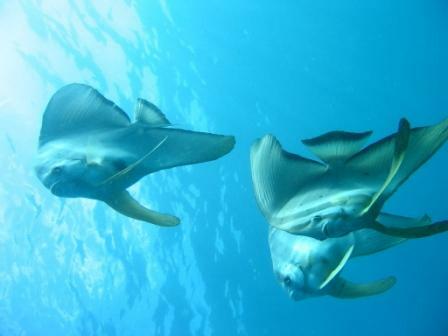 Water sports are at the ready; scuba diving is stunning and sailing, shark and ray feeding exhilarating. The St Regis Bora Bora Resort. With sumptuous cuisine and timeless Tahitian traditions this resort provides the many pleasures of paradise and the ultimate escape for romance and seclusion. Over water and oceanfront pool villas range from Premier to Royal and feature a private lagoon and gazebo. 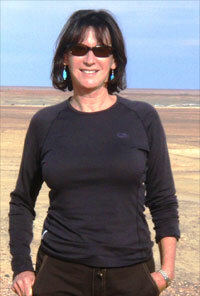 Guests enjoy jet skiing, jeep safaris, shark and ray feeding, diving, hiking and sunset cocktail cruises. The resort’s Miri Miri Spa is located on its own private island. This is one of the most impressive resorts in the South Pacific. Sofitel Bora Bora Marara Beach and Private Island. Situated on a private white sand beach on the edge of one of the most beautiful lagoons Sofitel Bora Bora offers an intimate and colorful atmosphere and a haven of peace and tranquility. The 360 degree panoramic view of the lagoon of Bora Bora is spectacular. 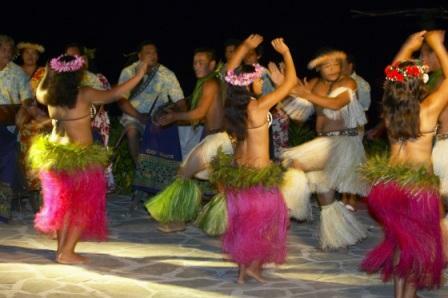 Voted by Conde Nast Traveler as the number five Top Resort in the Pacific. A wild little paradise 143 miles west of Tahiti in the Society Island Archipelago ,Taha’a with the rich aroma of vanilla lingering in the air, offers a glimpse of the traditional, tranquil life of the Tahitians. Le Taha’a Island Resort and Spa offers 48 over water suites and 12 Beach Villas, with private patio and tropical gardens, private swimming pool at beach villas and direct access to the lagoon from over water bungalows. Te Tiare Huahine Beach Resort. This resort can only be accessed by boat, in itself a journey into Polynesian life. For an experience in ultimate luxury a premier Deep Overwater bungalow or Shallow Overwater bungalow is ideal. An enormous effort has been made to restore the islands archaeological remains and an excursion can be taken to view a prehistoric village. “The Robinson Crusoe Island” The Tikehau Pearl Beach resort is located on a secluded beach fringed with palms and is home to traditional Polynesian styled Beach and Over Water bungalows.Each with glass floor windows framing the fabled Tahitian waters. Due to its abundant tropical fish populations Jacques –Yves Cousteau declared Tikehau the richest atoll on the face of the earth. 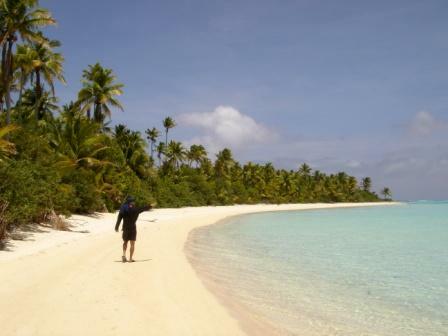 The Cook Islands contain some of the most diverse scenery of any island group in the South Pacific. They are largely untouched by tourism with no high rise hotels and only one main road. The magic tranquility is only matched by the people themselves. Rarontonga. 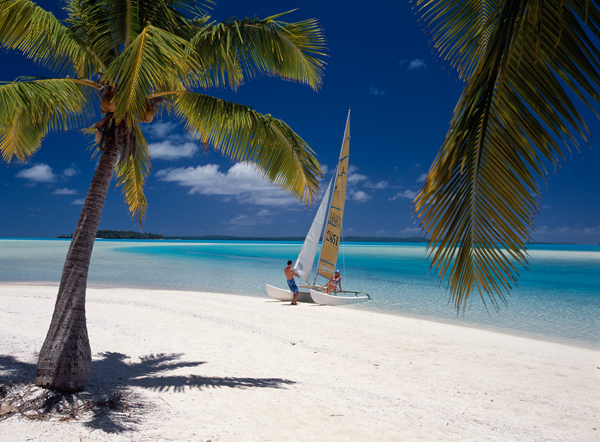 The most populated of the Cook Islands this capitol island is encircled by white sandy beaches and turquoise lagoons. Little Polynesian is on a white sand beach of world class beauty and has ten Over Beach units and four Pia Tiare (garden units) Te Manava Luxury Villas and Spa is a 5 star luxury haven set on Rarotonga’s stunning south- east coast. These are environmentally aware award winning luxury villas and Te Manava is an International hotel awards winner, for best new small hotel in 2011. Accommodation ranges from Garden Retreat Villas, Garden Villas Suite, Beachfront Villa Suite, Ultimate Beachfront Villas and Presidential Beachfront Villa.